There's a slew of cool new ARKit apps as well. At WWDC earlier this year, Apple introduced ARKit, its take on an augmented reality platform. Since then, a whole slew of ARKit projects have cropped up, including exploded camera art, an A-ha style video, an IKEA furniture app and many more. Google followed up with its own ARKit competitor, ARCore, just a few weeks ago, thus lending credence to the burgeoning popularity of augmented reality apps on the phone. Now, at Apple iPhone's event, the company said that all of the new iPhones were designed from the ground up to be AR-ready as well. 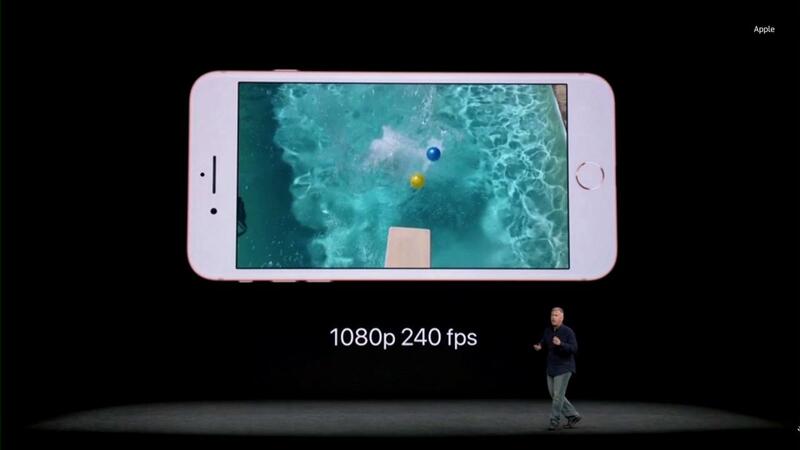 Apple's Phil Schiller said on stage that the new phone cameras are calibrated for AR, and that they designed to handle low-light and 60 fps video, which is perfect for augmented reality applications. Further, there's a new gyroscope and accelerometer, to ensure more accurate motion tracking. Schiller also took some time at the event to talk about the latest cool ARKit apps. One was a Warhammer game that lets you fight virtual mechs in the real world. If you're a baseball fan, you'll love MLB's new app that will let you hold up your iPhone at the game to see real-time information and stats superimposed on the field. There's also an app that lets you view the constellation as you move your phone across the sky. Last but not least, Apple showed off a game called The Machines that let you go head to head with your friends in a virtual battlefield. Even though the new iPhones -- that's the iPhone 8/Plus and the iPhone X -- are designed specially for AR, ARKit is still available for the iPhone 6s and the iPhone 7 with the upcoming iOS11 update.